Last week left a bittersweet taste in the mouths of environmentalists. 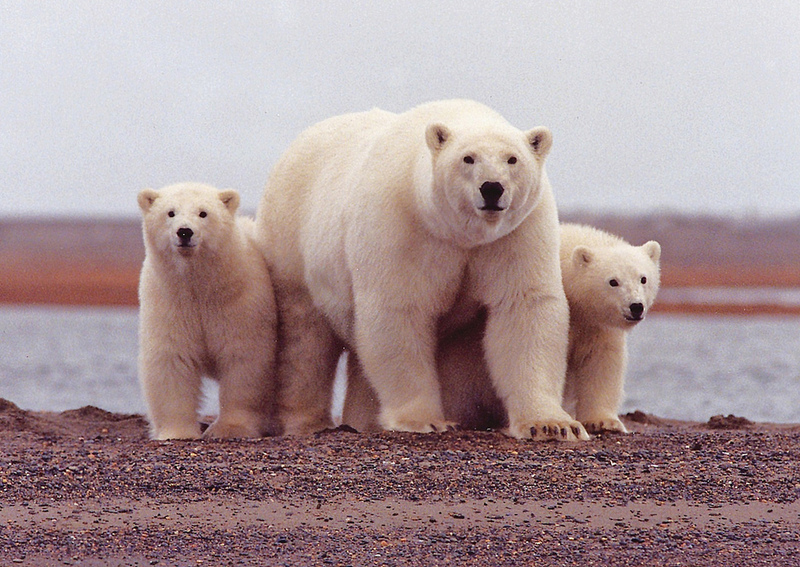 On Jan. 25 the Obama administration proposed new protections for large portions of the Arctic National Wildlife Refuge (ANWR), which, if approved, would be a huge win. Two days later, however, the administration released its new five-year offshore drilling plan, which opened up more of the Atlantic coast and the Arctic Ocean to dirty fossil fuel development - and potential disaster. The new protections for the refuge, at least, would mark a historical achievement. According to the U.S. Department of Interior, which is recommending the protections, the measures could become one of the largest conservation efforts "since Congress passed the visionary Wilderness Act over 50 years ago." The Department's recommendation is that millions more acres of the refuge, including the Coastal Plain, be declared "wilderness." What that means is it will enjoy the highest level of protection possible for public lands. Mining, drilling, road development, and the construction of permanent structures - all of these things will be prohibited, effectively preserving the area and its ecosystem. The issue, however, is that only Congress has the power to make a "wilderness" designation, and given the fact that the Senate just approved the Keystone XL pipeline on Jan. 29, sending it to President Obama's desk for a likely veto, the likelihood of their cooperation on this matter is doubtful. The President, however, challenged Congress to move on the issue. "I'm going to be calling on Congress to take it a step further," he said from Air Force One during a trip to India. "Designating ANWR as a 'wilderness' so that we can make sure that this amazing wonder is preserved for future generations." "Designating vast areas in the Arctic National Wildlife Refuge as wilderness reflects the significance this landscape holds for America and its wildlife," said Interior secretary Sally Jewell. "Just like Yosemite or the Grand Canyon, the ANWR is one of our nation's crown jewels, and we have an obligation to preserve this spectacular place for generations to come." Republicans seized the chance to attack the development, with Sen. Dan Sullivan, R-Alaska, saying he and others will "defeat their lawless attempt to designate ANWR as a wilderness, as well as their ultimate goal of making Alaska one big national park." He claimed it was an example of Obama "thumbing his nose at the citizens and [putting] Alaska and America's energy security in serious jeopardy." But the pro-corporate need not have worried; on Jan. 27, the Obama administration catered to them with the release of its proposed 2017-2022 Outer Continental Shelf Oil and Gas Leasing Program. The draft plan includes 14 potential lease sales, 10 of which are in the Gulf of Mexico, which is still nursing wounds left by the remnants of the infamous 2010 BP Oil Spill. Three areas off the coast of Alaska (the Chukchi and Beaufort Seas and the Cook Inlet) would also be sold for oil exploration, after Shell's numerous efforts to infiltrate the area in the face of impassioned opposition from environmental groups. The final area to be sold would include parts of the Atlantic including coastal parts of Virginia, North Carolina, South Carolina, and Georgia. This plan is "risky wherever we do it," said Bob Deans, spokesperson for the National Resources Defense Council. "Oil travels a long way. It doesn't respect boundaries." In a press release issued by the council, executive director Peter Lehner added, "This takes us in exactly the wrong direction. It will expose the Eastern Seaboard, much of the Atlantic, and most of the Arctic to the hazards of offshore drilling. It ignores the lessons of the disastrous BP blowout, the growing dangers of climate change, and the promise of a clean energy future." This plan "would put our beaches, wetlands, and all they support at grave and needless risk, imperil coastal communities and economies, and anchor our future to the diry fossil fuels of the past." Noting that the plan puts the Alaskan areas in particular at serious risk, Tim Donaghy, a senior research specialist with Greenpeace USA, concluded, "Alaska native communities depend on the ocean for their livelihood, not to mention the whales, walruses, seals, birds, and fish that make up one of the few remaining pristine ecosystems on the planet. Crude oil is something that simply can't be put back in the bottle once it has been spilled. The only way to win is not to drill."